Peppy has been looking for a new home since her mom passed away last year. 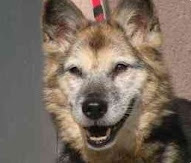 My friend, Sabrina - The Foster Mama, at the Chihuahua Rescue of San Diego, swooped in and helped to find Peppy a foster home, but this beauty is still looking for her forever. 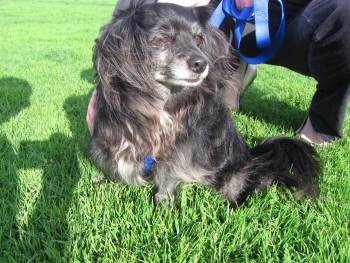 You can check her out on the SeniorPooch Adoptions Page. Through my research to bring you the best information available on senior dogs and their owners, I came across The Seattle Dog Spot, which is spinning up a new monthly column: The Senior Dog Files. One of the topics writer, Ann Mouldon promises to cover is making the transition from regular to senior dog foods. Given the impact on how a dog looks on the outside is based upon what goes on the inside, I'm excited to see this series unfold.